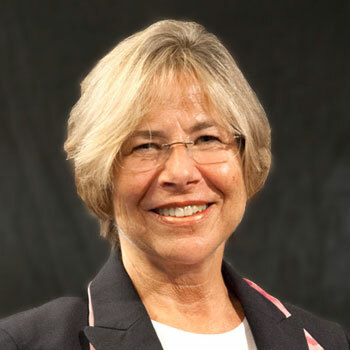 Dr. Karen L. List is the recently retired Superintendent for the West Hartford Public Schools, Connecticut. During her tenure she brought greater coherence, alignment and accountability to the work of school improvement. Her budgets were responsive to the economic downturn, yet maintained the programs and services that distinguish the WHPS. She shepherded technological advances including a wireless infrastructure, enhanced professional learning and a refresh of computers and devices. In addition, she expanded prekindergarten in our public schools, knowing that earlier is better for school success. She leaves the district knowing that a new building to house the Charter Oak International Academy, with five classrooms for three and four year olds, will open in 2016. Prior to serving in this role, she was Assistant Superintendent for Curriculum & Instruction. She served on the College Board’s Superintendents’ Advisory Panel, is an elected member of the National Suburban School Superintendents group and was a member of the CT Center for School Change Superintendents’ Network. She worked with the Harvard Graduate School of Education Principals’ Center for 10 years as an Advisory Board member, co-chair of the Advisory Board and Group Leader for Summer Institutes. Dr. List was an adjunct faculty member with the University of Connecticut School Leadership Program. She is active statewide with various organizations in leadership development, district and school improvement planning, and PK to 3rd grade alignment. During her 32-year tenure as an administrator in the WHPS, Dr. List served as Assistant Coordinator of the Fine and Performing Arts; Principal of Norfeldt, Webster Hill and opened the Smith School of Science, Math and Technology, one of West Hartford’s first magnet schools. While she led Norfeldt and Smith Schools they achieved National School of Excellence distinction. Dr. List is currently serving as the Project Director for the PK – 3rd Grade Leadership Program at the UCONN Neag School of Education. She is developing the program, which will begin in the summer of 2015 in collaboration with the newly formed Connecticut Office of Early Childhood. In addition, she works with LEAD CT as an Executive Coach for new superintendents.